Posted: Fri Feb 09, 2018 9:42 am Post subject: Re: The “Laker hate” is really starting to bug me!!! I wouldn't call it "an agenda"; more like a herd mentality. One person says a free agent shouldn't sign with us because we'll take too long to develop, and it becomes a theme everyone embraces. Ultimately, I don't think it matters; players will do what they do. And honestly, I think this is one of those things where you see what you want to see. I've seen lots of speculation that George will come to LA. You probably don't notice that stuff because you are so attuned to the people who say he won't. Exactly. This is a long term issue for some people. The media as a whole is usually more or less balanced, but some people hear only the stuff that makes them angry. The hate tells you they think you’re doing something right. Yup. After years of apathy, they're scared of us again. Exactly as it should be. Posted: Fri Feb 09, 2018 9:47 am Post subject: Re: The “Laker hate” is really starting to bug me!!! Correct me if I'm wrong, but I think there's a grand total of ONE NBA title amongst those four former players you cite there. That's why they hate. Pity them. Posted: Fri Feb 09, 2018 9:51 am Post subject: Re: The “Laker hate” is really starting to bug me!!! As a Laker fan you will learn to embrace it; it's a BEAUTIFUL thing! Their hate is the biggest proof that the Lakers are back. Exactly. They're in a panic. It tells me they feel there's a higher chance of us signing a max FA than I even I do. Posted: Fri Feb 09, 2018 9:52 am Post subject: Re: The “Laker hate” is really starting to bug me!!! Sorry, but both of you are wrong. I hear and listen to every single thing that is talked about with regards to the Lakers. The reason why this a subject of discussion for me is that, these comments are unwarranted and Unprecedented. This has NEVER happened before. Posted: Fri Feb 09, 2018 9:55 am Post subject: Re: The “Laker hate” is really starting to bug me!!! What do you expect? Most of these guys spent much of their careers losing to this franchise. Hot damn we are sensitive. Posted: Fri Feb 09, 2018 10:00 am Post subject: Re: The “Laker hate” is really starting to bug me!!! The obsession with the Lakers is the only thing that is unprecedented. No other team gets anywhere near the coverage the Lakers do and the Lakers aren't even a playoff team right now. Over the last few years, the Lakers have been bad and people accuse the media of trying to rub our noses in it by talking about it all the time. It's not that, they have to talk about the Lakers 24/7, or at least 23/7, and there just wasn't many good things to report. To think that the league or anyone in the media prefers the Lakers to be bad or irrelevant is simply crazy talk. Posted: Fri Feb 09, 2018 10:03 am Post subject: Re: The “Laker hate” is really starting to bug me!!! Posted: Fri Feb 09, 2018 10:07 am Post subject: Re: The “Laker hate” is really starting to bug me!!! Posted: Fri Feb 09, 2018 10:11 am Post subject: Re: The “Laker hate” is really starting to bug me!!! Really? Did you become a Laker fan after the Colorado proceeding, the Shaq departure, "I'd rather play on Pluto," the Kobe era in general, the Dwight Howard interlude, the Chris Paul non-trade, the "Lob City" is going to take over LA era, . . . . well, basically, did you become a Laker fan in 2014? I've endured it in my own household growing up, the hate will never die, that's what makes being a Laker fan so sweet! TBH, I don't think FAs care what media or former players have to say. FAs will always make the decision they feel that benefits them the most. To the point about the haters, this means we are still relevant and doing something right. Take it as a compliment. and Reggie is insufferable, clearly exhibiting anti-Laker bias in his play calls as well. Well, part of the reason why they hate us because we've been abysmal for 5 seasons and we grab a TON of media coverage. I mean, rightfully so because we bring in the most revenue out of any team. But if you're a fan of any team in the playoffs, or the 4th best team in the NBA (Raptors), you're gonna be pissed. You're gonna hate the fact we probably won't make the playoffs and and still get all the attention. I embrace Laker hate. I love the villain role. Yeah no doubt. 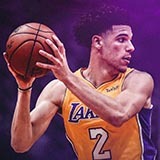 I feel that most "experts" don't even watch Lonzo play and just look at the box score and yell "Bust!" I honestly don't understand how he is labeled a bust. I've watched every game this season and I see some amazing potential that I haven't seen in a while from a point guard. For over a decade, the media couldn't say anything without looking foolish when the Lakers were on top, but once Kobe tore his achilles, the vultures came out in full force and they could finally let out all their hate that they had for the Lakers when they were on top. They couldn't question the greatness of Kobe or his legacy when he was in his prime, but once he tore his achilles putting his team on his back, they finally could hate the Lakers with full force. Now you have media people revising history that Kobe isn't a top 10 player of all time or that he wasn't the best player in the league when he played, Duncan being called the best player of his generation instead of Kobe once he tore his achilles, Lakers can't get superstars to come in free agency besides Shaq (yet not talking about the Lakers never having any cap space until the 2015 offseason), etc. Lakers are always going to be hated even when they are on top or bad. 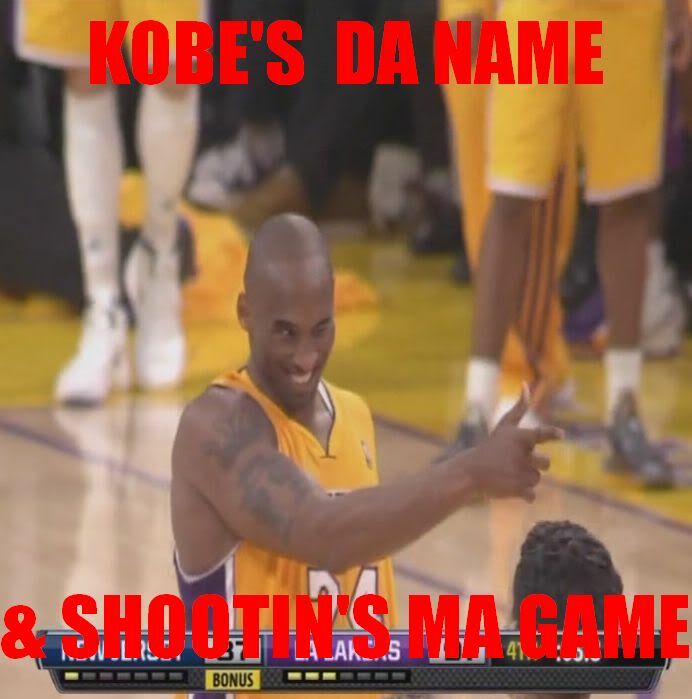 Lakers hate and drama gets lots of views and clicks, it just comes with the territory.